Trend | Why not stay at home? 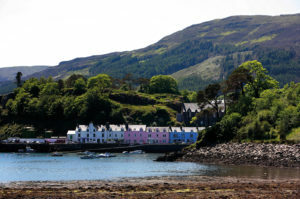 Scotland has been voted the most beautiful country in the world, according to The Rough Guide. Despite this, few of us have really explored our own country, often preferring to head to the sun rather than discover the delights of our own back yard. It’s a shame because we have incredible scenery, superb food, no luggage restrictions and, unless you’re heading for the less salubrious parts of Glasgow, you already know the language! Whether it’s island hopping in the Hebrides, exploring the wilds of the Highlands, bagging a mountain or two, swimming in a crystal clear sea loch or meandering peacefully through the ruined abbeys and peel towers of the Borders, there’s a staycation for everyone. There’s a whole raft of fascinating accommodation choices from the grandest castle and luxury lodges to tiny cottages, railway carriages and shepherd’s huts, that’ll bring you back in to nature while living in luxury. 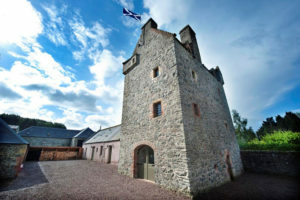 The National Trust for Scotland offer holidays in some unique properties. For a romantic break, you could cosy up in Beaton’s Croft, a wifi-free restored thatched blackhouse on Skye, where you can climb in the Cuillins, potter round the galleries and craft shops of Portree, or enjoy the food at the amazing Three Chimneys restaurant. One Off Places also have a great selection of unusual properties, if you’re looking for a memorable break. How about a hand-built wooden Romany-style caravan for two, complete with eco wood-fired hot tubs, set in a landscaped meadow in the Scottish Borders? Or a treehouse near St. Andrews? Fernie Castle treehouse is like your own hotel suite in the forest. If it’s history that appeals, or you have a spiritual bent, head to the converted abbey at Fort Augustus on the shores of Loch Ness. The abbey now includes an indoor swimming pool and spa, a clubroom with snooker and free wifi, and a restaurant where you can enjoy a delicious meal while you enjoy spectacular views of the loch. More fun than being a monk! Maybe you need something for the whole family, or want to get away with friends? 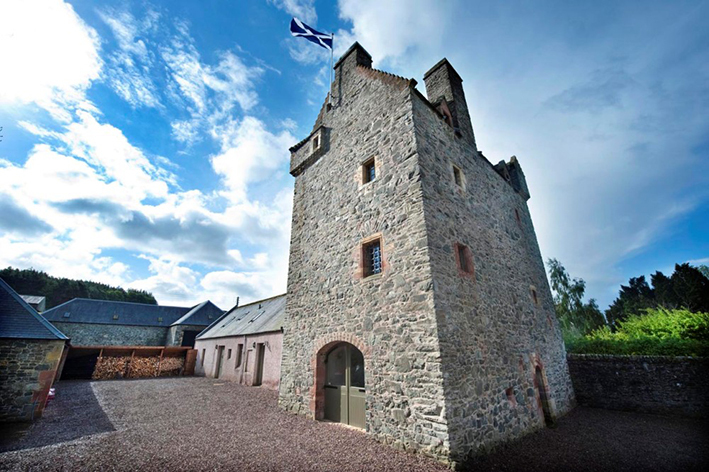 In that case, A-listed Aikwood Tower, dating back to the 1540s, has considerable medieval charm. There are five double bedrooms and plenty of things to explore in the Ettrick Valley and beyond. If a castle isn’t for you, how about camping? It’s a fun option for the adventurous family, while those with a Bear Grylls obsession can go off-grid with wild camping in the wilderness. Sleeping under the stars may sound primitively romantic, but keep in mind this means sharing your space with the local insect life, eating lukewarm baked beans and wiping your bottom with the nearest dock leaf, so any romance will fade pretty quickly! If it seems a little basic, ease yourself in with a couple of nights at Greenhillock Glamping located in a five-acre flower meadow in Angus. 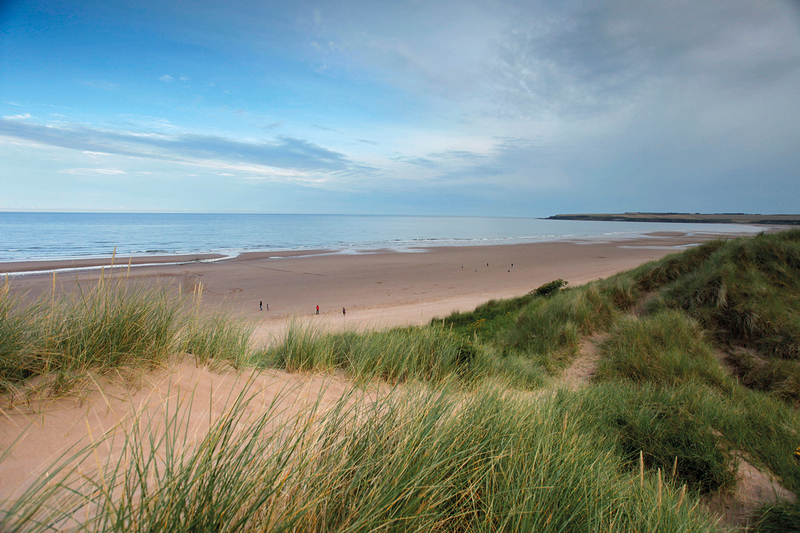 It’s an ideal base for a visit to Lunan Bay or the Angus Glens without sacrificing too many home comforts. You can cook over a campfire, immerse yourself in nature and it’s family friendly, with plenty to do if it rains. Make this the year you holiday at home!